What do historical grand emperors, victorious generals, and masterful poets all have in common? Their beautiful crowns of laurel leaves, of course! Known as a symbol of triumph, achievement, and peace in Graeco-Roman culture, the leathery, glossy green leaves were woven into beautiful wreaths to crown especially important individuals . Even Apollo, the cherished god of light, knowledge, music, and so much more, found the leaves of the laurel tree to be sacred. The rich history associated with laurel leaves aren’t the only amazing things about this botanical. From the leaves comes an essential oil dominated by the chemical component 1,8-Cineole and packed with therapeutic properties. 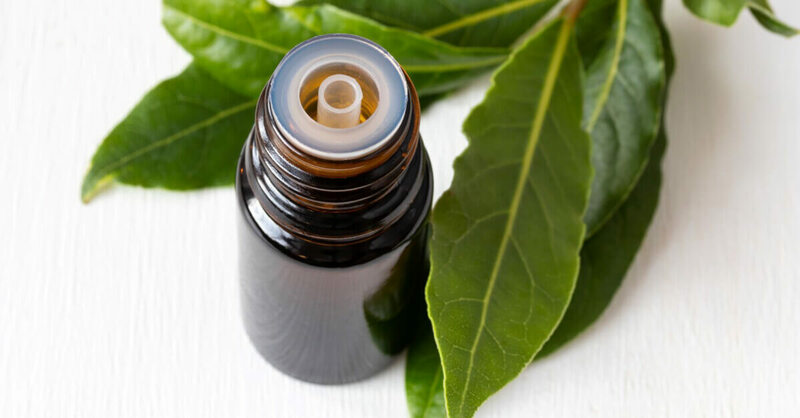 Laurel Leaf Essential Oil goes by several other common names, including Bay Laurel, Bay Leaf, Sweet Laurel, and Sweet Bay. Its chemical makeup includes a large variety of constituents from several different chemical families, including oxides, monoterpenes, monoterpenols, esters, and ethers. If you’re not sure what that means, that’s okay! Just know that each family can offer different mind and body benefits, helping make Laurel Leaf very versatile in what it brings to the table. Let’s check out some of the best reasons to add some Laurel Leaf into your life. It invites positive energy into your life. If the image of ancient Olympians proudly wearing their crowns of laurel leaves doesn’t already indicate it, this plant has a strong relationship to victory and confidence. That’s because the aroma of Laurel Leaf is energizing, uplifting, and perfect for individuals who may be doubting their abilities and struggling with low self-esteem . This oil is thought to promote feelings of enthusiasm, even when you’ve got low spirits trying to drag you down . For a positive and grounding blend, diffuse 3 drops of Laurel Leaf, 3 drops of Bergamot, and 2 drops of Frankincense Carteri. It supports your respiratory system. When congestion, phlegm, and gross mucous are ruining your day, Laurel Leaf can help clear you up! The main chemical component of Laurel Leaf Essential Oil (1,8-Cineole) is known to be helpful for all kinds of respiratory issues, including symptoms stemming from bronchitis and asthma . It’s an excellent expectorant that helps open the lungs so you can breathe deep and fully. Diffuse 2 drops of Laurel Leaf with 4 drops of Lemon for a wonderful immune-boosting blend. 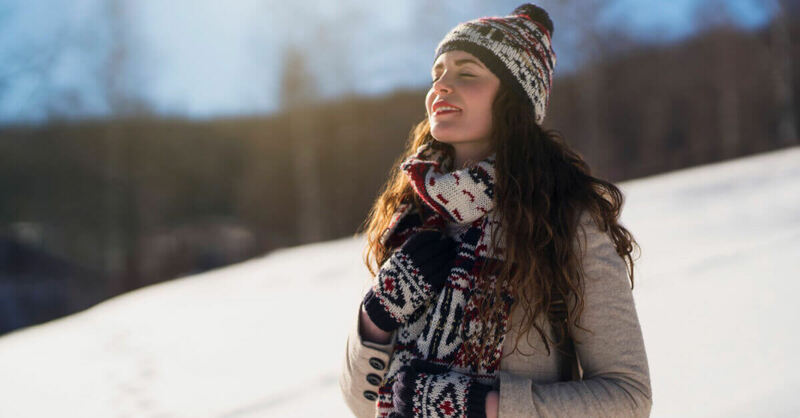 It can help clear up your congestion and freshen up the air around you at the same time! Or add one drop of Laurel Leaf to a bowl of very hot (but not boiling) water, put your head down low, and take a few intentional breaths. This is steam inhalation; if you’d like to learn more about it, read this blog all about it: The Art of Steam. Sore muscles? Aching joints? Let Laurel Leaf help! Sore, overexerted muscles or inflamed, creaking joints can be incredibly uncomfortable. Whether you hit the gym too hard or are simply enduring the normal process of aging, using Laurel Leaf topically can offer some relief. It’s a possible skin irritant, so use it with caution and make sure to dilute it to 0.5%. If you’d like to try a blend with Laurel Leaf, add 2 drops with 4 drops of Rosemary 1,8-Cineole and 4 drops of Balsam Fir to 1 tablespoon of your favorite carrier oil. It helps settle an unhappy stomach. Digestive complaints, like gas, indigestion, and occasional stomach cramps, are great reasons to give Laurel Leaf a chance. It influences the gastrointestinal system in a way that promotes urination, which helps to release toxins. It can also help alleviate discomfort from stomach cramps and has a tonic effect on the liver and gallbladder . When your digestion process is flowing smoothly, you can better absorb nutrients, helping you feel good overall . Mojay, G. (2005). Aromatherapy for healing the spirit: A guide to restoring emotional and mental balance through essential oils. London: Gaia. Pgs. 88-89. Harding, J. (2008). The essential oils handbook: all the oils you will ever need for health, vitality and well-being. London: Watkins Media Ltd. Pg. 156. Purchon, N., & Cantele, L. (2014). The Complete Aromatherapy and Essential Oils Handbook for Everyday Wellness Paperback. I’m so excited to order this! I had never even heard of this oil until today. It has so many uses. I can’t wait to try it. I always love when my husband throws bay leaves into his dishes. I’ve never smelled it as an oil before, but I think it would be completely different from anything I have. And like something I need! Promoting confidence & courage – no wonder the Greeks wore leaves of laurel leaves! I just added my name to the waitlist, & hope it becomes available soon. I have had Laurel Leaf in my wish list for quite a while now. Reading this makes me even more convinced I need it in my oily collection. Thanks for all the great info! I got this oil a few months ago for my collection and I love using it when I am needing something energizing and uplifting, which in one of the main reasons I got it. I also like to use it for aches and pains. It is hard to find Laurel Leaf and I am so glad PT carries it! Thank you PT for the positive energy blend I will be trying it the next time I need an uplift, as well as the respiratory blend. Also will be reaching for it for unhappy stomach. Always looking for oils that are antispasmodic and help with asthma. Thanks for the great article, I am now on the wait list for this popular oil. I love to use laurel leaf when I soak my feet….add it to the water with epsom salts. I also enjoy it in my diffuser mixed with eucalyptus! This is one i dont have yet. Interesting. I love this post because Laurel Leaf is one of those oils i have that i hardly ever use. Thank you for the more in depth info. on ways to use it. I love all the uses of laurel leaf! Can’t wait to try it out…I wasn’t familiar with it before but I look forward to incorporating it into my everyday life. I had bought Laurel Leaf for the respiratory benefits, it was interesting to learn that it is great for the positive energy. Thank you for a wonderfully informative article! I have this and didn’t even realize it helped with tummy issues. Perfect! I need to pull this oil out and put it to good use! I’ve been going thru some pretty junky ‘stuff’ lately and was looking for something different. Well!!! This is amazing! I did the Positive and Grounding Blend in my diffuser and it was ‘head clearing’. 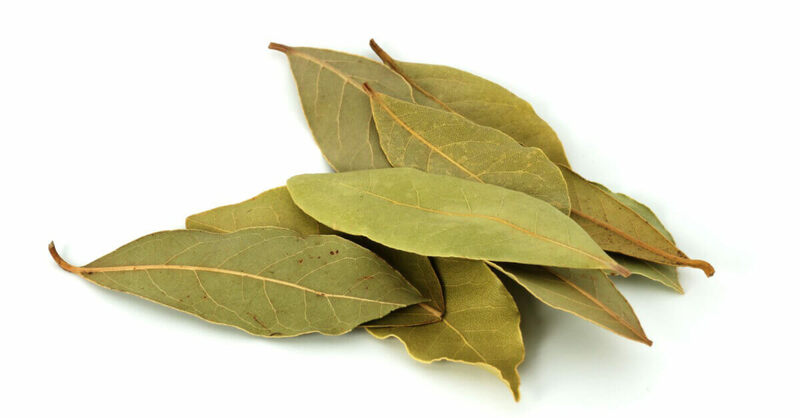 I love using bay leaves in my cooking and now love it in my diffusing. Thank you for this great master blend! I had to make a larger amount to have on hand. Thank you for this informative page about Laurel Leaf! I have had it in my collection for a few months but so far had only used it in diffuser blends when I want to add a greener, earthier smell to a bright citrus blend and I love it for that purpose. Now I will try it out for digestive upset, using the blend that Plant Therapy recommended as a response to Jennifer in the earlier comments. Thank you for the information and ideas! I definitely want to grab a bottle of this for colds and flu season. Thanks for this very useful information. This oil is next on my list! Hmmmmm…. So is this going to be the new Spotlight Oil? Never even knew this oil existed! can’t wait to try it out. I’ve been looking for some oils that will help with stomach and menstrual cramps, and have never come across Laurel Leaf. Thank you for this! I love the smell of this oil. It’s in all the men’s colognes I like. Is there a blend recipe for settling an upset stomach? My goodness, I thought it looked like a bay leaf! Thanks for making it clear for me! Have been needing to do more with my laurel leaf, so as always, great timing on the information! Especially interesting about the effects on liver and gallbladder. Brianna mentioned phantom gallbladder pains. I had mine out a year ago and experience the same thing. I’ve been wondering lately if there’s an oil that can help, so now I’m very curious to try this. Great information. Always looking for oils for respiratory support for my kids and husband! I’ll have to get this so I can try the blend as suggested with bergamot and Frank. Thanks for bringing this new oil to my attention! I hadn’t heard of it yet. Love your blog posts! Holy cow this sounds like it could help all that ails me, especially pain and digestive! Have seen it listed in pain blends. I will definitely put it on my wish list. This sounds like a great all-purpose oil to have in my arsenal. I wasn’t very famiiar with laurel leaf before. Thanks for shedding some light on the subject for me! I didn’t know about laurel leaf’s confidence boosting or upset stomach helping properties. I will be trying the diffuser blends and adding it to my pain blends from now on. You are always so full of great information and safe ways to use my oils. Thank you for this! I absolutely love Laurel Leaf for my arthritic joints. My 10ml bottle is almost gone so next time I’ll be ordering 30mls. That’s how much I use it. I honestly believe that laurel leaf is a long lost soul mate of mine! When I first inhaled it, I knew we would be very tight! I absolutely adore laurel leaf! It is so uplifting and reassuring for me. It’s like carrying a big stick! I love it!! Thank you so much for sharing, Tammie! 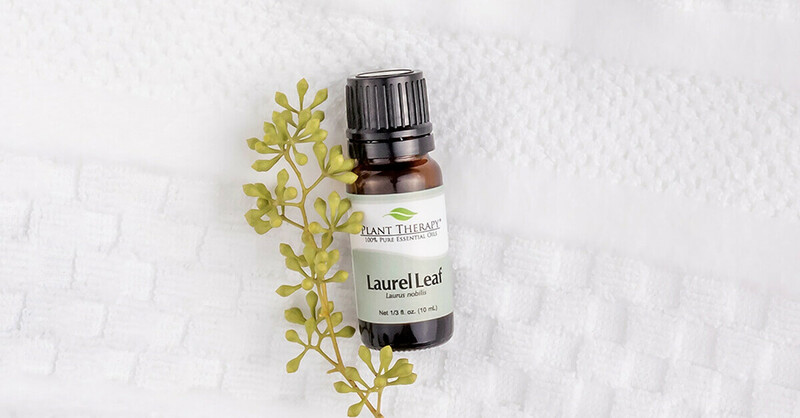 Laurel Leaf is an oil I would’ve never thought to try. I just might have to after reading this! So much info in this article! Thanks so much PT! Anything for respiratory support I need to try!! So interesting about helping with Liver and Gallbladder. I had mine removed 9 years ago, but still have phantom pains. May need to try this to help with those. I will definitely need to add this one to my wish list!